You are here: Home / LIFESTYLE / Beauty / Do I Really Want Cosmetic Surgery? Do I Really Want Cosmetic Surgery? Cosmetic surgeries such as breast lifts, liposuction, rhinoplasty, and facelifts are very popular today. Rather than growing older gracefully and naturally, many are choosing to fight the signs of advancing age by having these types of procedures performed. Still others view these procedures as a fountain of youth that will allow them to remain young continually. The truth is somewhere in the middle, and cosmetic surgery procedures can, in fact, be very beneficial if pursued for the right reasons and with the correct expectations in mind. Here we will discuss some important things to keep in mind when contemplating having a cosmetic procedure done. 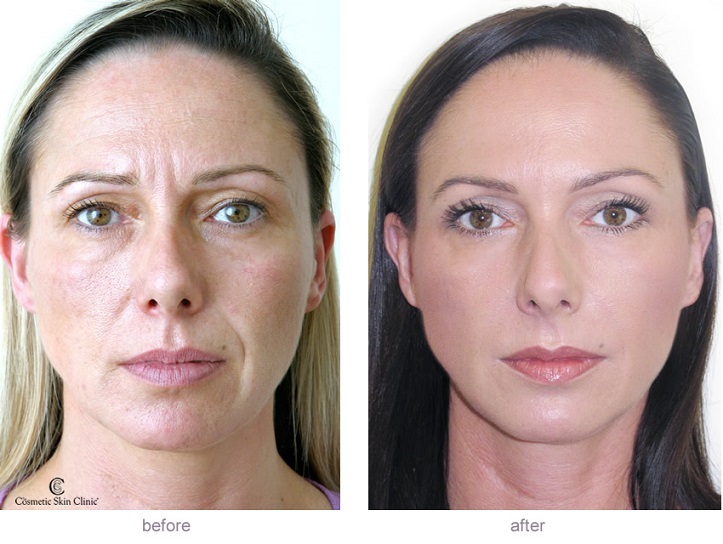 If you are considering having your appearance surgically altered, consider the reasons you want to pursue this type of procedure. If the only reasons you are considering having cosmetic procedures performed is to improve your dating odds or land a better job, you are likely considering this serious step for the wrong reasons. Cosmetic surgery won’t magically transform you into a perfect supermodel or ensure that you get a date with the most attractive person in town. These procedures won’t make you instantly happy with yourself if you already have some serious self-esteem issues. However, if you are relatively happy with yourself and accept yourself, flaws and all, you will likely be happy with the further improvement that cosmetic procedures can offer you. Statistically speaking, those who are happiest with their outcome from cosmetic surgical procedures are those who had realistic expectations in mind and wanted the procedure for themselves, not to make themselves more attractive to another individual. As briefly touched on, ask yourself what your expectations are regarding the outcome of your surgery. Are you expecting every aspect of your life to improve simply because you have chosen to go under the knife? This isn’t likely to happen, and if that is your expectation, you’re sure to be disappointed. If you’ve worked hard to get where you are in life and are already very satisfied with many aspects of your life, you are likely to find the outcome of cosmetic surgical procedures very rewarding. You realize it doesn’t change who you are as a person and won’t magically improve your social or financial status, but you rather see it as an improvement of the great person that you already are. What are the Risks and Rewards of the Procedure? All surgeries, whether cosmetic or otherwise, come with their own unique set of risks and rewards. It is therefore very important to weigh up the pros and cons of the procedure you are contemplating. In some cases, there may even be benefits that far exceed a simple improvement in aesthetic appearance. For example, having rhinoplasty performed can improve the shape and appearance of your nose but it can also correct issues with difficulty breathing due to a deviated septum or other defects within the nasal cavity. Alternatively, having a breast reduction can not only make your breasts more visually appealing but can also relieve back and shoulder pain that large breasts can create. Learn the risks and rewards of each procedure you have in mind so that you can consider each in making your final decision. Have you Researched Plastic Surgeons? While it is tempting to think so, not all plastic surgeons are created equal. You will want to speak with several professionals before choosing a surgeon with the experience and skill level to perform the procedure you have in mind. Consider looking for a board certified plastic surgeon with many years of experience in the procedure you want to have performed, as many surgeons specialize in a specific type of plastic surgery. If you are considering getting liposuction, you may want to choose a plastic surgeon who specializes in this rather than one who typically performs breast enhancement surgeries. It’s also wise to speak to other previous patients of any surgeon that you are considering using, as this can provide you with first-hand insight as to the type of experience you can expect. The American Society of Plastic Surgeons reported that over 15.6 million cosmetic procedures were performed throughout the year 2014, which was representative of a 3% increase over the previous year. Whether referring to minimally invasive procedures or more complex ones, these numbers clearly show that a large percentage of adults see cosmetic procedures in a favorable light. Additionally, cosmetic procedures are not just for women anymore. More men than ever before are putting more time and energy into their personal appearance, and this includes considering cosmetic surgical procedures to enhance their looks. Breast reductions and implants are both now common procedures for men as well as women, with both genders desiring to simply feel more attractive and comfortable in their own skin. Our culture is youth-centered, with much focus being placed on looking youthful and retaining this throughout our lifetime. For this reason, cosmetic surgery procedures are considered and performed for the right reasons, and by a highly qualified surgeon, the rewards can be great for the patient. With the above tips in mind, you can determine if you are ready to pursue a cosmetic procedure and how to go about it in the best way to suit your individual needs.